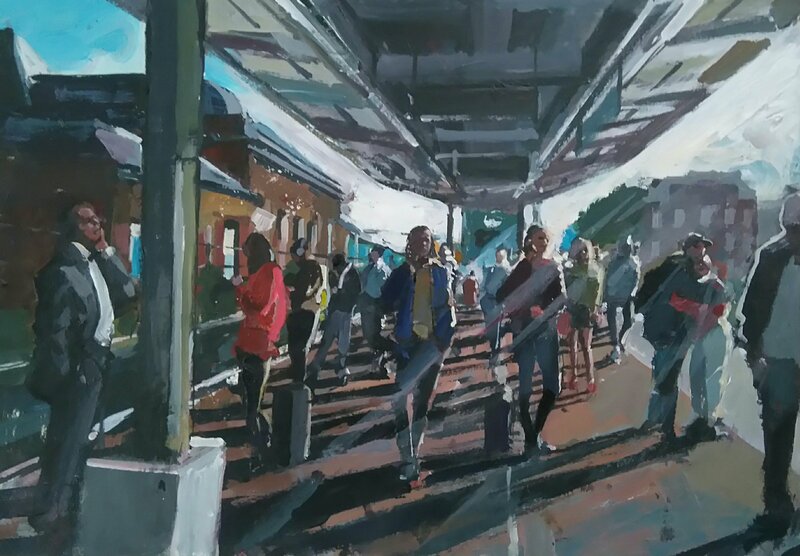 Mark’s work is strong contemporary figurative painting; the key elements in his pictures are light, space and movement. 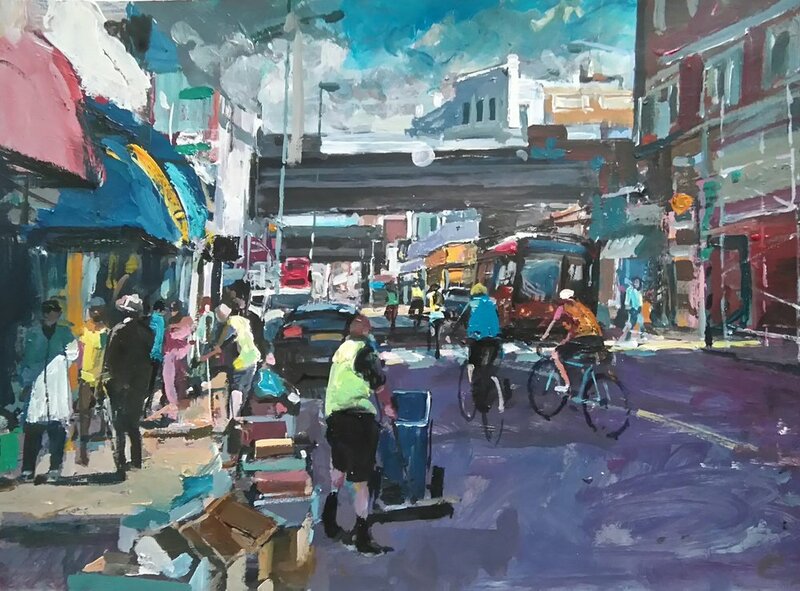 His current subject is predominantly the ever-changing London skyline, focusing on Peckham where he has lived for 25 years. 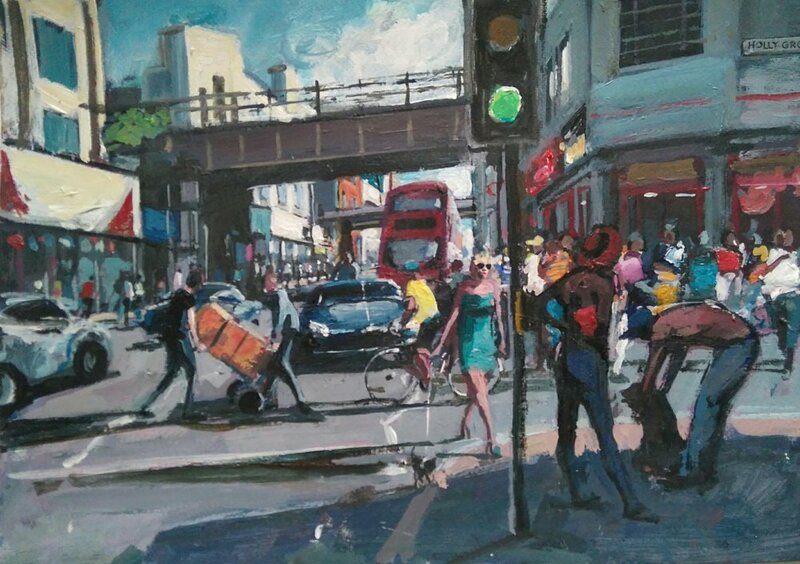 His paintings encapsulate the evolution of a London neighbourhood, where he documents people interacting with each other, in the streets, cafes and bars. 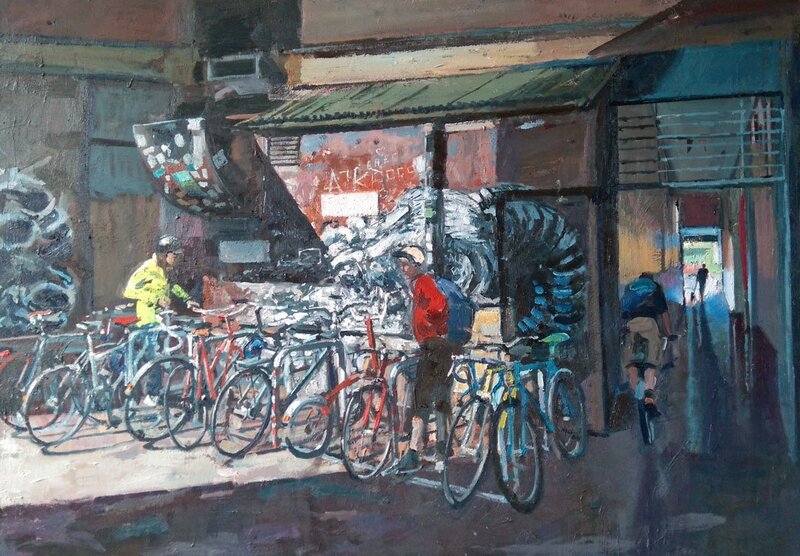 Mark’s paintings start from simple observations he makes walking through the area, repeating this and noting subtle changes. He records his ideas in small sketches and with photographs. The initial sketch will be worked up to large tonal drawing and this enables the main painting to start with a strong structure. 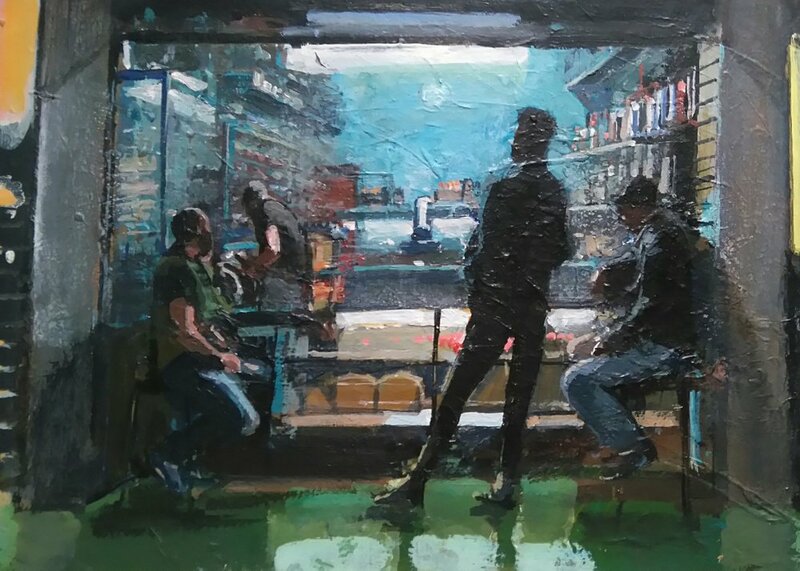 The subject is introduced in a layered form working from the background to the foreground. Then details and colours are introduced. 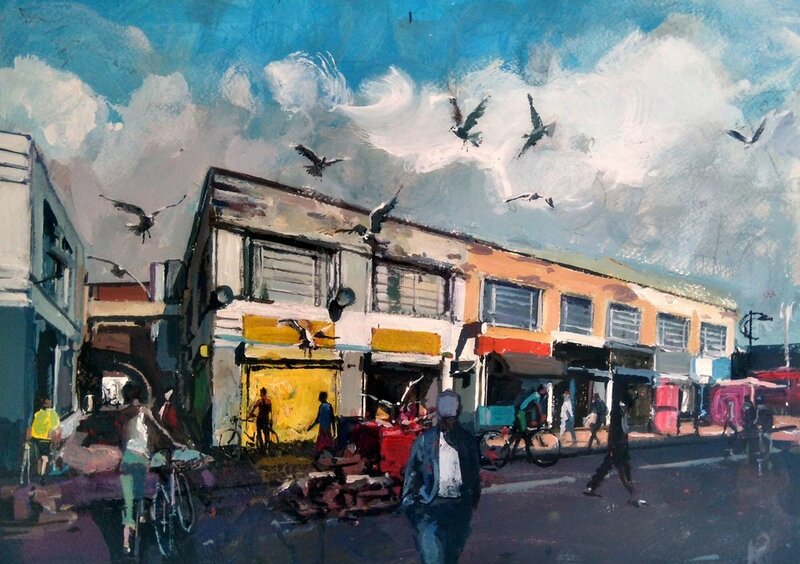 This process is repeated, elements being taken out & added and so the painting evolves to its conclusion.